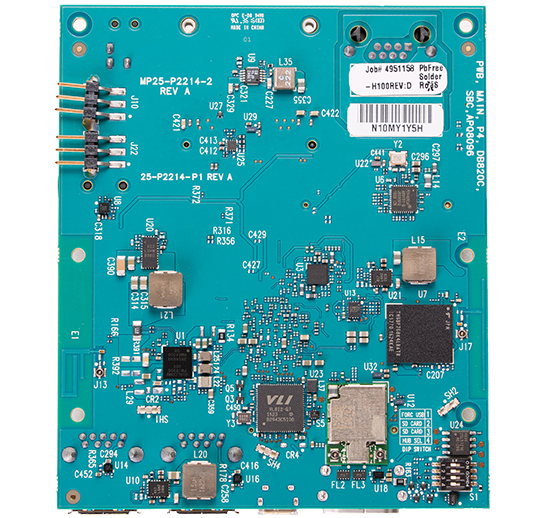 The following subsections should describe how to get started with the DragonBoard 820c using the release build shipped with the boards. Step 1: Connect the HDMI cable to the 820c HDMI connector (marked J6) and to the LCD Monitor. Step 3: Ensure that the boot switches S1 are set to ‘0000’, all in Off position. Step 4: Connect the power supply to power connector J1. Step 5: Plug the power supply into a power outlet. The board will start the booting process, and you should see Linux boot up. The ’power up’ blue LED ‘DS10’ should illuminate. NOTE: The first boot takes 3-4 minutes due to first time initialization. Subsequent boot times should be faster in the range of 1-2 minutes. 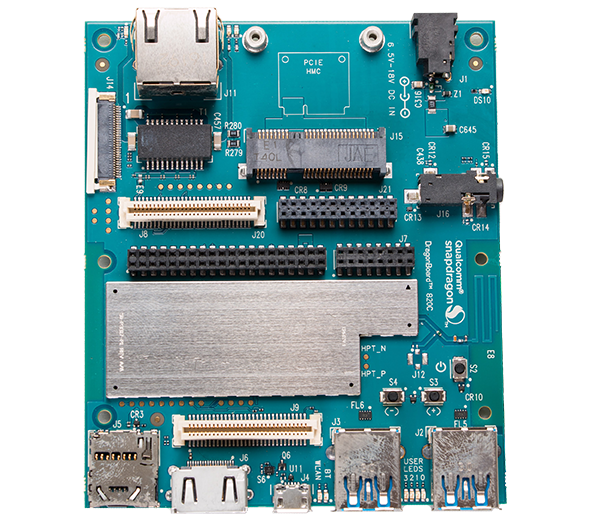 For more information and support, you may also want to visit the DragonBoard 820c Hardware User Manual.